This report draws on methods assembled by University of Queensland researchers to assess cumulative social and economic impacts. There has been no commonly accepted way to assess how the effects of multiple projects combine. That makes it difficult to learn when a threshold, tipping point, or critical mass is being reached. It is also hard to discern how one impact may mitigate another one. A range of interconnecting factors is involved - migration, localised changes in living costs, market economics, and weather, to name a few. A high degree of complexity and dynamism can result. The level of complexity involved precludes simply employing standard methodologies for social impact assessment (SIA). Instead, our assessment of cumulative impacts involved a sequence of steps combining known strategies in a new way. We have analysed statistical data and insights from extended interviews of key stakeholders. 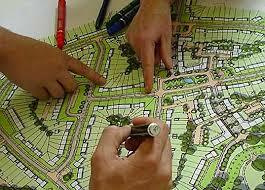 The two sources have enabled us to characterise the town-level responses to CSG development. A town-level focus was recommended by experienced staff in Queensland government agencies. They insisted that this level of resolution was needed to assess the degree of impacts experienced by individual communities and families. We did indeed find that statistics at the regional ('basin' or local government area) level seemed to mute the degree of impact felt at the town level. That is, an acute impact in a small town could be overshadowed in statistical averages by modest impacts in larger towns. Interactions between employment, interest rates, incomes and age demographics as well as environmental factors, such as land availability, drought and floods have been assessed to describe changes in the regions' housing markets. This analysis is provided in our first feature article on this website. The iterative and participatory approaches that we applied to create this report are now captured in a set of eight 'tools' in an online tool kit – https://boomtown-toolkit.org. These tools involve three kinds of activity: (1) collecting data; (2) developing understanding of ‘the system’; and (3) choosing responses or ‘levers’. The range of activities means that the Toolkit is not for use by just one person or for use by just one sector - industry, government, or the community. The approach requires a team. Some on the team will be good at gathering statistical data. Others will excel at conducting interviews. Still others will contribute their talents in engaging with others in industry, government, or the community in discussing plans for the future. The UQ Toolkit methods have a capacity to address factors beyond our priority set of indicators: population, unemployment, income, housing, and crime rates, which are reported here. Secondary indicators can be identified and tracked in areas of interest. That could be public or mental health, welfare dependence, business confidence, or environmental conditions. The UQ Toolkit website explains how to identify which data to collect and where to find that data. It also covers how to ‘ground truth’ the data using local interviews and pitfalls to watch out for. There are tools that offer insights on how to employ this data to understand the social and economic ‘system’ of a town and region. Other tools look at how to identify where an impact might be precipitous or what it might take for a response or strategy to build momentum to reach a needed critical mass. Information on where a town or region sits and what direction it is headed in informs identification of what we refer to as ‘levers’. Levers are strategies to determine how to move toward a desired scenario or vision or how to transform one type of community, e.g., mainly agricultural, into another, e.g., mixed resource region and agricultural. Interviews with local people are an important step in the UQ Boomtown Toolkit method used in this report. Interviews involved showing the charts of indicator trends to key, informed local residents, business owners, and leaders. We selected individuals whose knowledge and experience was seen by others to be particularly revealing and relevant to the specific indicator area of research interest. So, for example, a real estate agent would be asked about the housing market, as would the manager of a community centre and the head of the chamber of commerce. This method is known in as a Delphi technique or 'sociological sampling'. Those interviewed included local business owners, school principals, skills training coordinators, local police, and community service deliverers. They were able to verify that the set of baseline indicators - when properly annotated with their insights - captured an acceptable representation of their lived experiences. For example, we asked what the changes in population over time had seemed like to them, and what other things changed when population changed. If population declined, where was that felt most, who was leaving, and who was staying? The interviews revealed the dynamic interactions occurring within the community in question, such as Miles. We described these changes and analysed Miles as a social system. We refer to this process of using interviews to verify indicator data and elicit insights on a community’s social system dynamics as ‘ground truthing’. ‘Ground truthing’ is a term traditionally used in creating a map to check that information gathered from remote sources - such as aerial or satellite photos - matches what is actually ‘on the ground’. This annual socioeconomic report on Queensland's gasfield regions is intended for use by a range of audiences. That would include regulators, planning, development and housing agencies, and resource development proponents. Local governments and communities may wish to know more about what to expect from resource development in their region. · What measures can foster local business development after a major project's peak construction period? Use by C-G’s office - The UQ Boomtown Toolkit has been used by the Queensland Coordinator-General’s office in formulating a report on the impacts of fly-in/fly-out and drive-in/drive-out employment. Further information on this effort is documented in the report, a PDF that can be downloaded here. Local government use - Two local governments in the regions studied have expressed interest in employing the Toolkit tools and strategies to inform decisions about housing and zoning. A case study of these uses and the outcomes will be prepared for the full Annual Report.